Against all odds, I’m still here. Severe pancreatic attacks, an inoperable ruptured appendix with septicaemia and an allergy to antibiotics, yet I am still here. I worked as hard as I could for nearly 40 years and lost all I had plus some more and I’m still going. I lost my health and I lost my wealth, and I gained faith and trust and love, joy, hope and peace. I prayed my heart out and God’s been good to me. To read more about ‘My Story of Survival’ in depth click here. 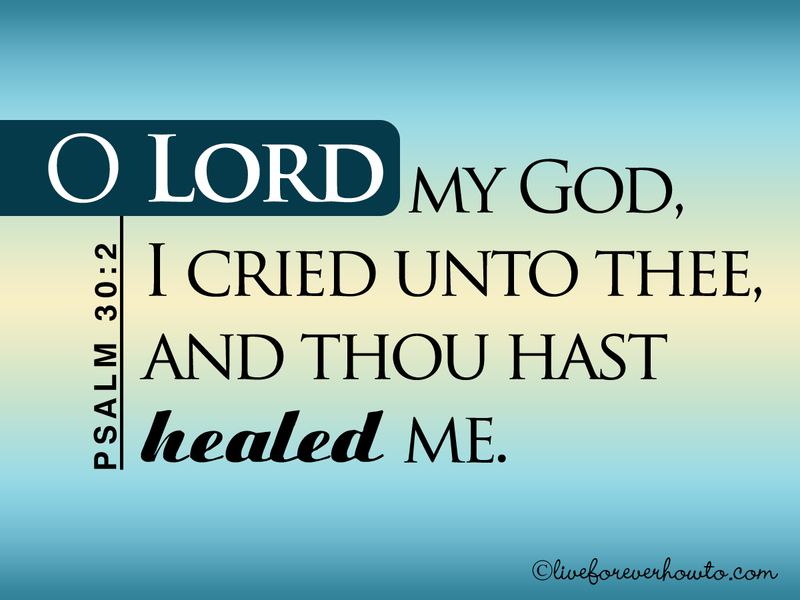 To read how ‘God Healed Me,’ and about the Scripture Verses that pulled me through, you can click here. 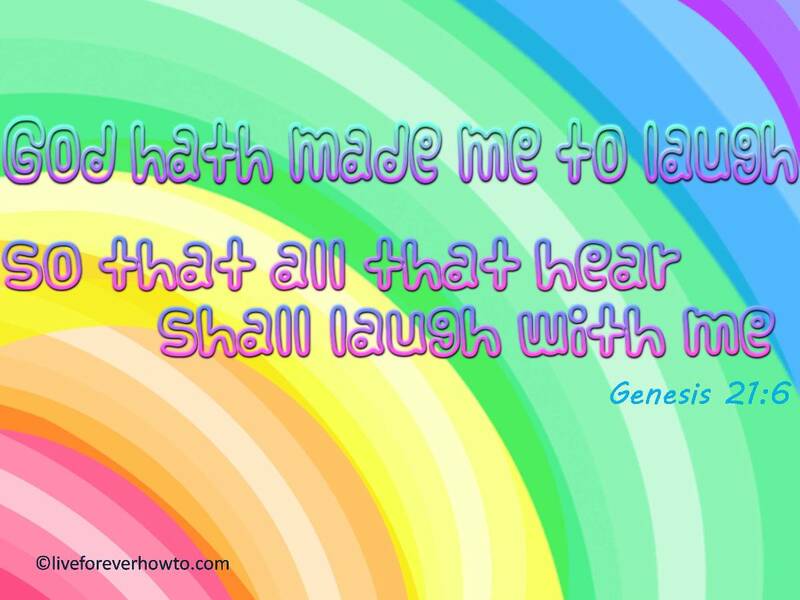 I am laughing with Sarah … Is anything too hard for the Lord? Sarah laughed when God promised that she would give birth to a baby. She laughed because as far as Sarah was concerned this was impossible. She was too old! God delivered, Isaac, as promised when Sarah was 80 years old. Is anything too hard for the LORD? Nope! Sarah then said, God made me laugh so that all that hear will laugh with me!. Amen. I am laughing with Sarah because I also am discovering that nothing is too hard for the LORD. I am starting from scratch. The only thing left from my old lives is a sense of relief that GOD saved me. In my darkest hours God’s Word gave me comfort and I couldn’t think of a better legacy to leave my children than to put God’s Word to song. And we did. We created a song book and even managed to put a few tunes to some of the lyrics. The songs helped us through tough times and still comfort us when we need the reassurance that God is in charge always. We love God’s Word as it is written in the Bible. Jolly good thing that all His promises come true, always. Some people use positive affirmation and others chant. For us it was Gods Word and our Scripture Cards which helped my children and I move house and find a place one hundred times nicer than the one we were in, as well as more than one hundred bucks a week cheaper. Also with God’s help and according to His Word, we escaped turbulence. And long after I’d given up on love, God’s Word had me fall head over heels and this time, for ever after .. plus much much more. The year is 2009 and I’ve been perfecting the art of laying about for well over a decade. Desperation finds me participating in a dodgy medical trial to which my pancreas so vehemently protests that my doctor takes me off the trial even though according to his medical books any prospect of recovery has now become an unattainable dream. This episode is followed by an inoperable ruptured appendix, septic shock and plenty more. Prognoses .. just a steady decline. After years of faking it, pretending to be in good health is now demanding more energy than I can muster up. And finally the labels our medical practitioners are so keen to dispense, are despite my vehement protests, starting to stick. In addition we need to move, our rent has been increased by a massive amount and even without this raise, we’re short every week. I haven’t been able to get up from bed for many years and my household management build on credit cards has well and truly collapsed on me. All of me is keen to fast track and catapult outta here, but two trusting little faces make me stay put and pray for more time. In an attempt to lift myself and my children out of the escalating ill health and debt situation, I am writing a novel on how not to raise kids. I am frantically searching for a template on how to raise children ‘the proper way’ in order for my offspring not to repeat my mistakes. I am praying with all my might, ‘Can I please stay alive for long enough to show my kids how not to repeat my mistakes.’ With a life always spinning out of control one way or another my sense of normalcy hadn’t been able to foresee the inevitable downward spiral. With volatility, unpredictability and unrelenting prolonged stress as my constant companion .. what had I set my kids up for? A Father of the fatherless .. Eventually the light dawned on this reject. All my questions answered. The light is the template. Where previously we experienced pain and death and endings, today we embrace hope, life and new beginnings. and thou hast healed me ..
thou hast kept me alive..
Half a millennium after that fatal day of birth, I am learning not to give up on love, how to raise my children, how to regain my health, how to reclaim my life and how to find peace for my children and myself; it’s all in the Good Book, the Holy Book, God’s Word. God is allowing me to spend more time with my children and family, against all odds. Praise The Lord. In addition I survived seven car accidents, one in rain, one on ice, one on snow, one on gravel, one on oil, one down a hill, with cars being written off as well as every panel other than the roof panel replaced. Throughout this I raised and educated my children as well as managed three medical clinics and been a director on a medical company for a good numbers of years. With my very capable team of helpers right now I’m focussed on rehabilitation and regrowing a couple of dodgy shock absorbers in my back as well as sourcing ultra potent WD40 to free up two or three hinges in the spine. Other than that I’m doing just fine. Yup I’ve come a long way from being despondent enough to want to get outta here. I still have my moments but more than that I have hope and faith and trust and the best company and helpers in the world to get me better. GOD hath made me to laugh! shall keep it unto life eternal. We prayed to God and He heard us. .. God gave us rest round about. Dear Mimi, I laugh with you, this life is just a shadow of the one to come and the riches that this world offers is like small change compared to Eternal riches, To be Loved and to Love is a never ending Goldmine, who would settle for less in this life or the next , can we do it, God Loved us first and He tells us we can! God Bless you and your Children Mimi, with an Abundance of Love – Anne. Thank you Anne. I read that you’ve done it tough and come through .. and that’s the only way! Thank you.